Arquiva, the UK communications infrastructure company, has announced that phase 4 of the BBC National DAB roll out has now been completed, with the switching on of a new transmitter at Fakenham in North Norfolk. Phase 4 has seen an additional 163 sites deployed across the UK to deliver the BBC’s national radio services, including those services only available digitally. This phase has added over 400,000 households (approx. 900,000 people) to the network and provided coverage on over 2,400km of motorways and A-roads. Overall population coverage for BBC National DAB has been increased from 93percent to 97.6percent as a result of the switch-ons. A significant number of digital radio transmitters for BBC national DAB stations, such as BBC 6 music and 5 live sports extra, national D1 commercial stations, carrying talkSPORT, Classic FM and Capital Xtra, and local digital radio, transmitting local services, have come online in 2017. This is in addition to the 45 transmitters carrying stations such as Planet Rock and Absolute 80s, from Sound Digital, on the second UK national commercial digital radio bundle. There are no plans as yet to add further transmitters for Planet Rock and Absolute 80s at the present time. 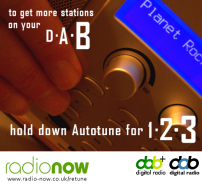 Last year more than 230 new transmitters carrying DAB digital radio stations were switched on. The BBC has launched 161 new transmitters for its national DAB station bundles, bringing its 11 stations to 97 percent of UK households on DAB digital radio and providing robust coverage for a further 26 percent of homes or 13.6 million adults. The national DAB digital commercial radio that carries Planet Rock and Absolute 80s serves 77 percent of UK households, whilst Digital One’s coverage with Classic FM, Capital Xtra and Heart 80s has expanded to reach 91 percent of UK households. 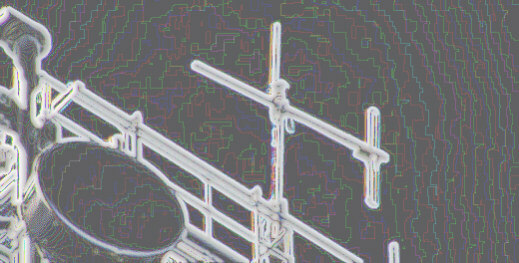 An additional 435 transmitters powered up in recent years have transformed the availability of DAB digital radio across the UK, offering coverage to 10 million more adults for local DAB stations and 1.5 million more adults for BBC national DAB digital radio stations, such as BBC Radio 6 music and 5 Live Sports Extra. Local DAB digital radio transmitter expansion now covers an additional 7,000 kilometres of the UK road network and 2,300 kilometres of roads for BBC national services.